Our company is involved in manufacturing, supplying and wholesaling a wide range of PP Bag Filters for Water Treatment. Manufactured from supreme quality polypropylene material, the proffered filters are appreciated for their high flow rate, low-pressure drop and excellent performance. PP bag filters are widely used for oil, resins and water treatment applications as well. 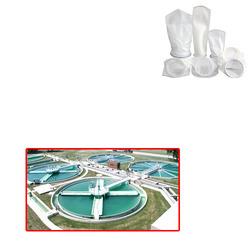 Looking for PP Bag Filters for Water Treatment ?